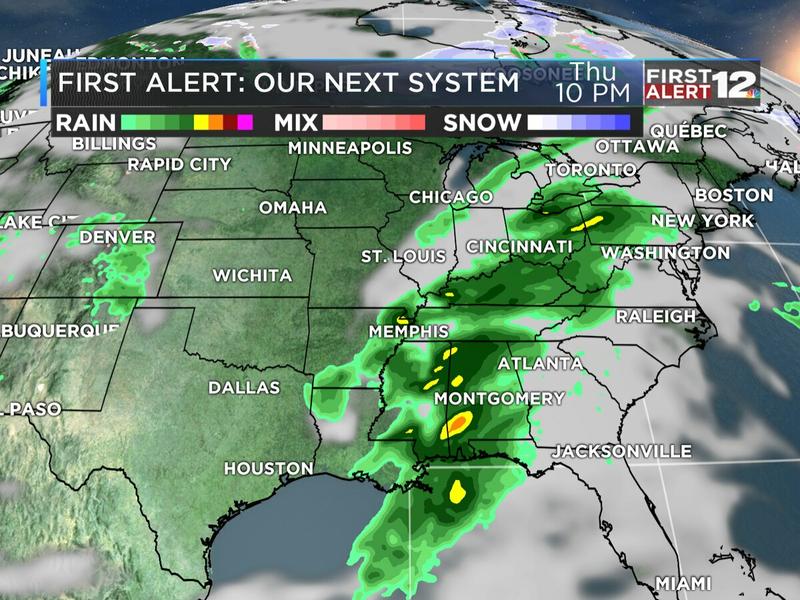 MONTGOMERY, AL (WSFA) - Drier, cooler air is approaching Alabama. Friday morning will start mild in the mid to upper 50s, and a few isolated showers are possible early, particularly in our southeastern counties. The sun will attempt to peek out behind the clouds by the afternoon, but temperatures won’t warm much; they’ll struggle to reach the mid 60s in the afternoon. 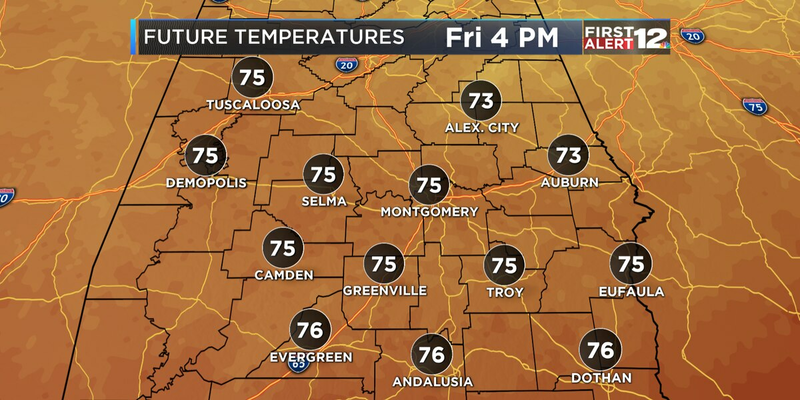 Temperatures will quickly fall as the sun sets Friday. Bring a light jacket to high school football games-- temperatures will be in the 50s by kickoff and the upper 40s by the end of the game. 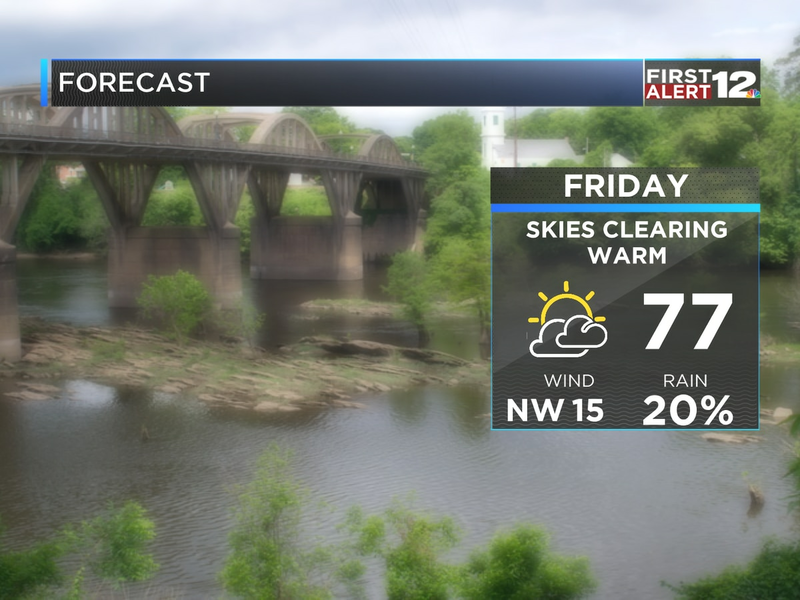 A dry, comfortable weekend is ahead. Enjoy, because another storm system may bring another round of strong storms to some part of the Southeast early next week. We’ll be watching.